One day I will post a legitimately delicious oatmeal recipe (maybe my husband’s?) 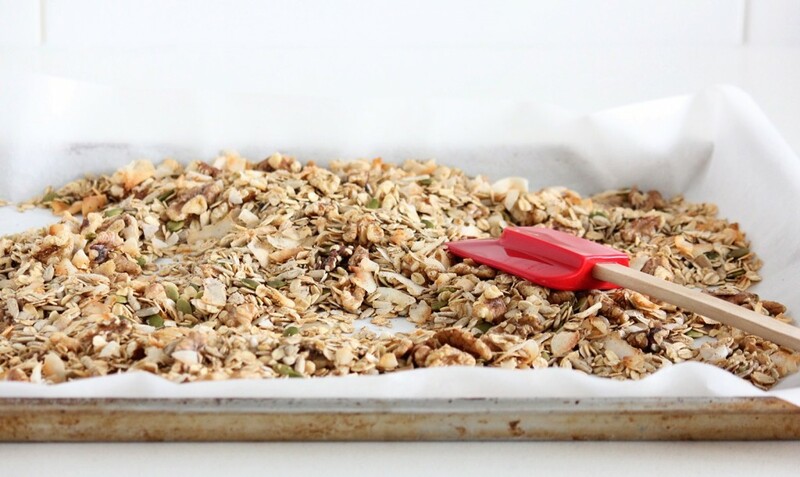 but today, we are making muesli (the tasty alternative to a yawnfest in a bowl). My sister had made a version of this (from the Thrive cookbook) when I last visited her and her little family. It not only tasted great, but it kept us going (doing very important things like shopping and walking through the Vondelpark) all day long. And more than that, because it was there, waiting for us every morning, it meant the first thing we ate was always this healthy muesli and never the stroopwafels sitting on the counter. 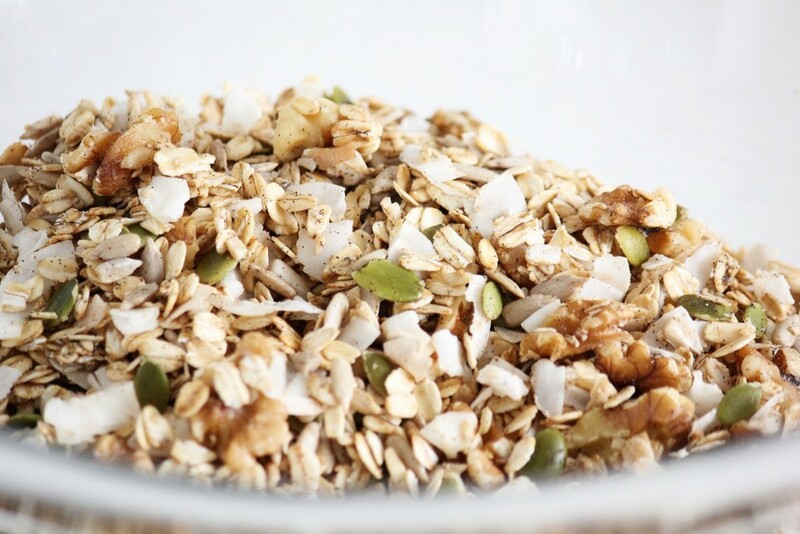 It totally pays off to be prepared when it comes to breakfast, and it can be as easy as this muesli recipe. 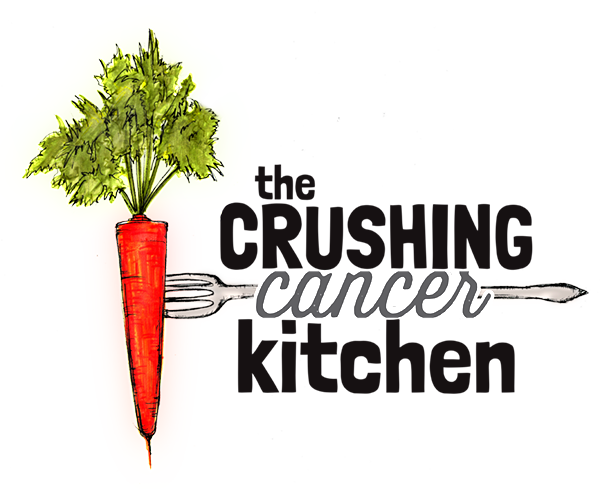 The crushing cancer version of muesli is not sweetened, but it is rich in flavour and texture. It is full of nuts and seeds (choose your favourite), coconut ribbons (cooler texture than desiccated), and of course, rolled oats. 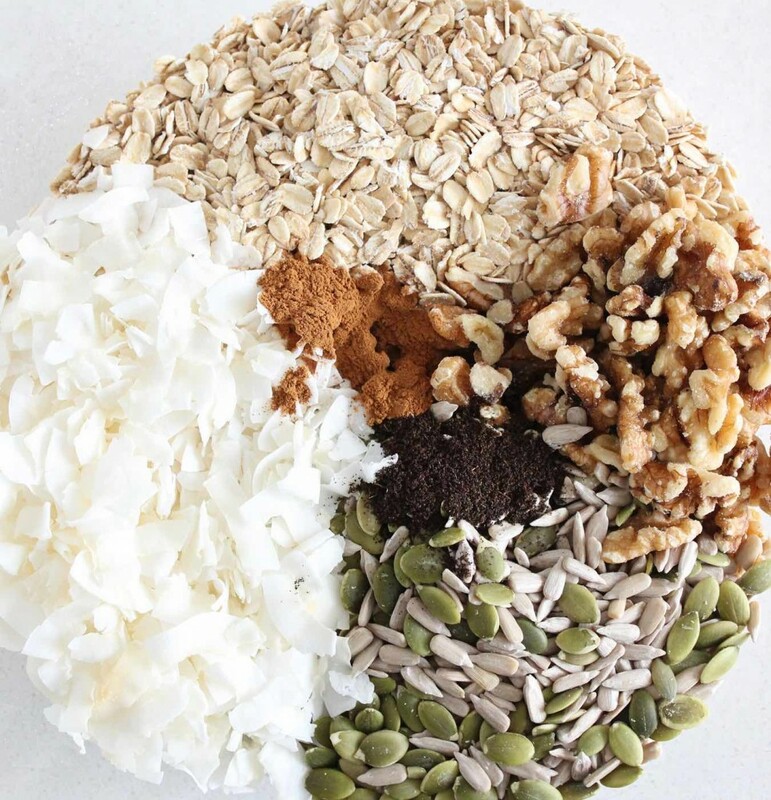 All of these ingredients are lightly toasted in some extra virgin coconut oil, which brings out their flavour and makes them taste fresh and alive. We add some dried fruit after the roasting process (dried fruit doesn’t really benefit from roasting, and burns easily), which is the ‘sweetness’ in this recipe. 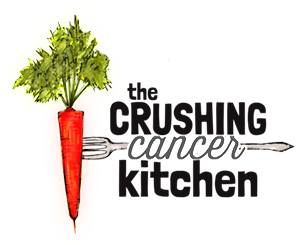 We added dried figs (high in calcium, antioxidants and fiber, and they also contain omega-3 fatty acids in their tiny, edible seeds) and goji berries (contain major antioxidants that help fight against cancer and also help with your vision due to their high levels of carotenoids –specifically ‘zeaxanthin’. They are from the nightshade family though, so replace these if you are sensitive to nightshades). You can choose your fave dried fruit or omit it altogether if you are the type of person who manages to always have fresh fruit on hand (rotting avocados don’t count). Or do both! The recipe is really just a loose framework to your easy, healthy, dream breakfast. Bought a bag of chia seeds at Costco and aren’t sure what to do with them? Replace some of the seeds with them (add them after the oven stage). 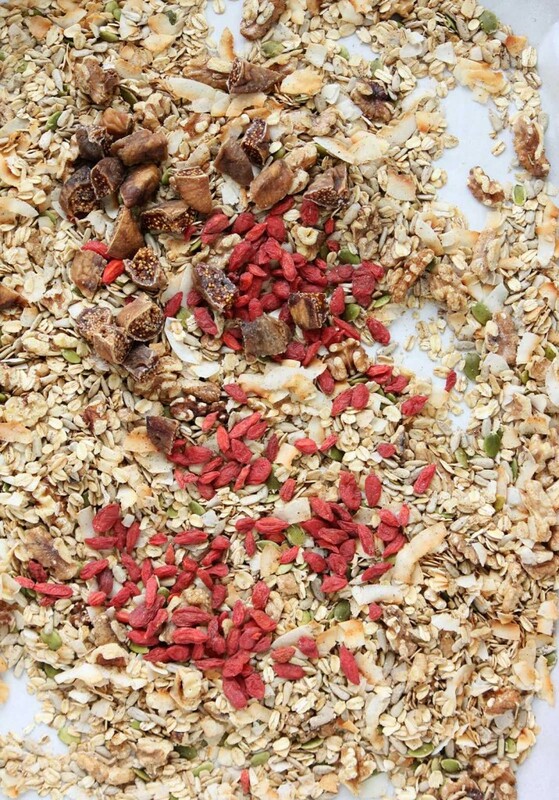 Have a dehydrator that you need to use at least once a month to rationalize the purchase? Make your own organic dried fruit (I recommend red pears, pineapple or any seasonal berries in the summer). Sensitive to oats/grains/nuts? Leave out the oats/grains/nuts and replace the volume with the parts that you aren’t sensitive to, it will still be really delicious. If the thought of re-working the recipe based on your own decisions gives you anxiety, follow it exactly, it’s so, so, so good made exactly this way. Then there’s the coconut milk. Making this coconut milk is easier than lugging home tasteless, weird ingredient-filled almond milk from the store. 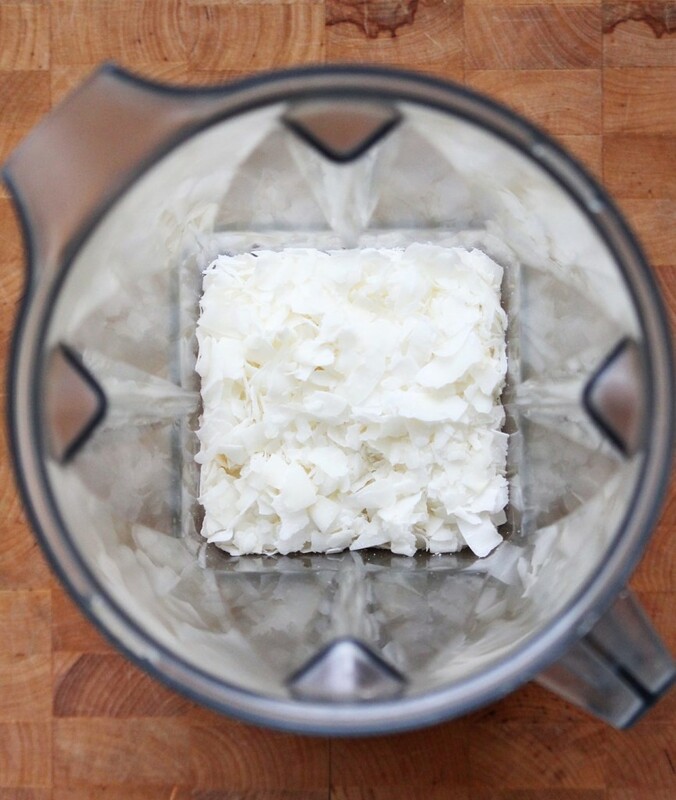 Dried coconut + water + pinch of salt into a blender, strain (if you want). No soaking, no pre-planning, no nuts, great taste. I was making hemp milk the same way, out of shear laziness (no soaking or straining required), but once I ran out of hemp hearts, I moved on to the bag of dried coconut in my freezer, and felt like the smartest person in the universe. It tastes AWESOME and even my husband will eat it on his muesli (the homemade hemp milk, which tastes a million times better than store-bought hemp milk, was a little hit and miss with him). 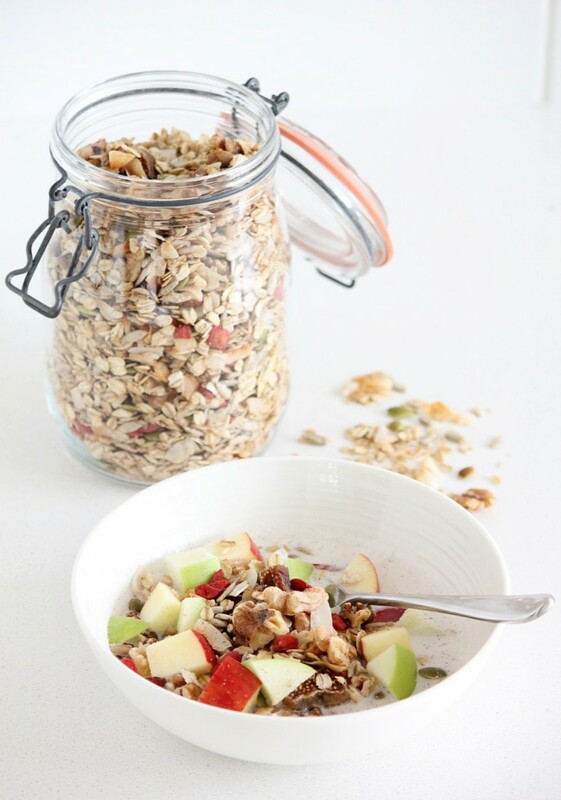 Store the muesli covered, in a jar, in your fridge for 3-4 weeks for the freshest taste. It also freezes well (and gifts really well! ), so making a bigger batch, give some away, and freeze some for your future self or your sister who is visiting sometime in the future. 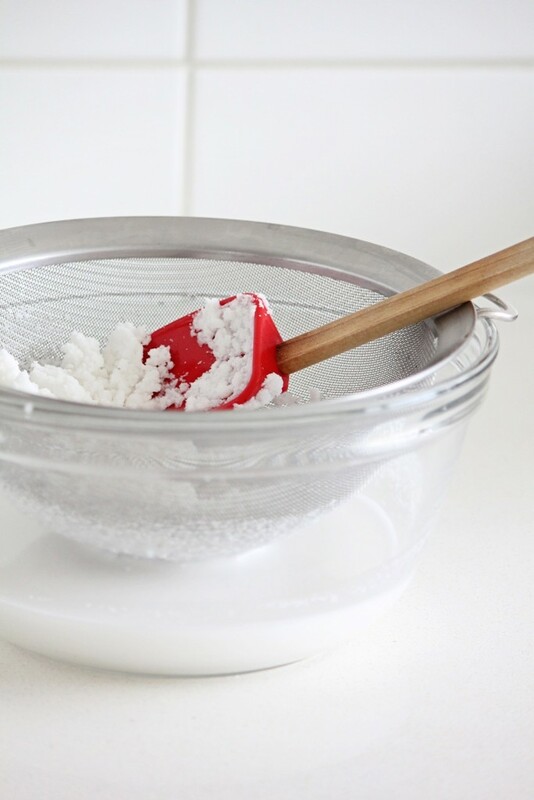 Spread out onto a parchment-lined baking sheet and bake in the oven for five minutes, pull it out, toss it around with a spatula or wooden spoon and bake for another five minutes (this helps it bake evenly). Let cool and add the dried fruit and fragile seeds (and flax/chia/hemp if using). Serve with homemade coconut milk (or any homemade, plant-based milk) and fresh fruit if desired. Blend contents in a blender until very smooth (2-5 minutes, depending on your blender). Strain through a stainless steel fine-mesh sieve (or nut milk bag). Sometimes I don't strain it, if you do, the leftover solids can be frozen or dried out in a low oven or dehydrator to add to smoothies, baking/sweet/cracker recipes. Use coconut milk right away or keep in a covered jar in your fridge for 3-4 days. it freezes pretty well too. Shake before using. Thank you Sue! I’m so glad you like it. Such a delicious recipe. Thank you. SO I really love oatmeal if you havn’t noticed. OH also I’ve made a baked oatmeal with apples and cinnamon, so good and you can add pureed frozen banana “ice cream” to that once the oatmeal comes out of the oven like a healthy lil apple crisp. Hi M! 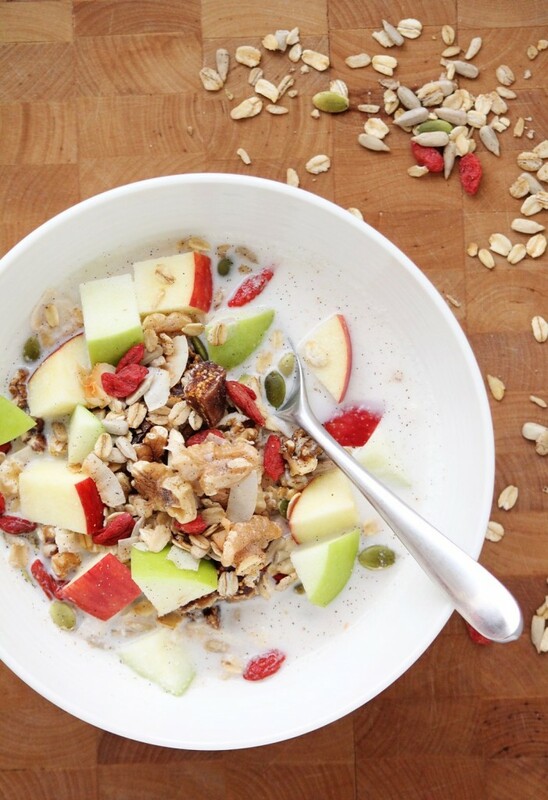 Quick oats are probably better than donuts and bacon and stress, so don’t worry too much. I’ll work on an a hot oatmeal recipe. In the mean time, I did add the coconut milk to this muesli and leave it in the fridge overnight making ‘overnight oats’ and they turned out really well, so u could get him to try that? Quicker than quick oats and better for you! And the figs release sweetness that make it all taste pretty delicious. It’s cold (obviously) so not exactly the same, but worth a shot? Hi Dana, Yes please on the idea of a good tasting oatmeal. I’m with you that the only way to eat it is with lots of brown sugar or maple syrup…it would be great if the recipe was super easy so my husband would make oatmeal for himself instead of using the pre-made packages. (I know, I know,….but what can I do!!??). Maybe there is a way to pre-mix the good tasting part that has multiple ingredients so that a measure of that mixture just gets added each morning?